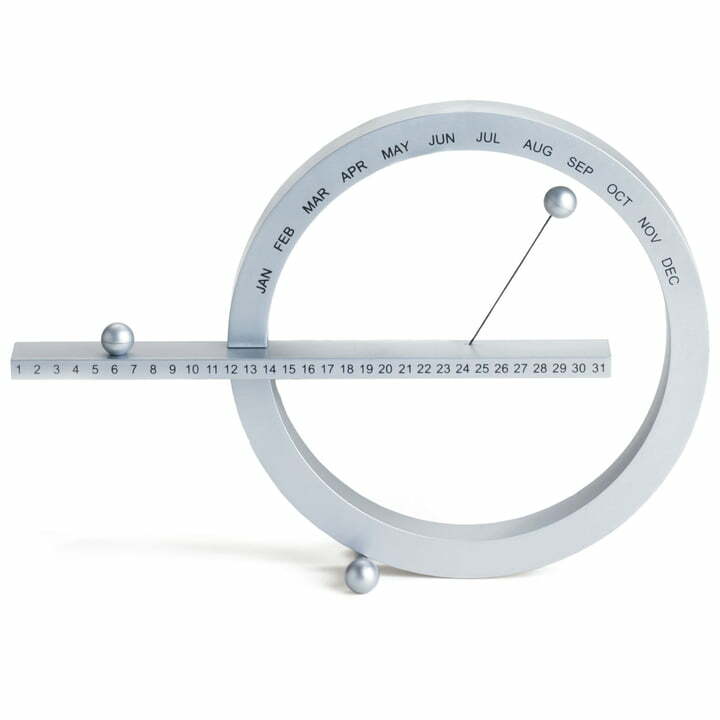 The perpetual calendar by Gideon Dagan has been designed for the Museum of Modern Art (MoMa) in New York in 1998. For the 10th anniversary, a smaller edition has been created. The calendar is absolutely timeless and can be reused every year. 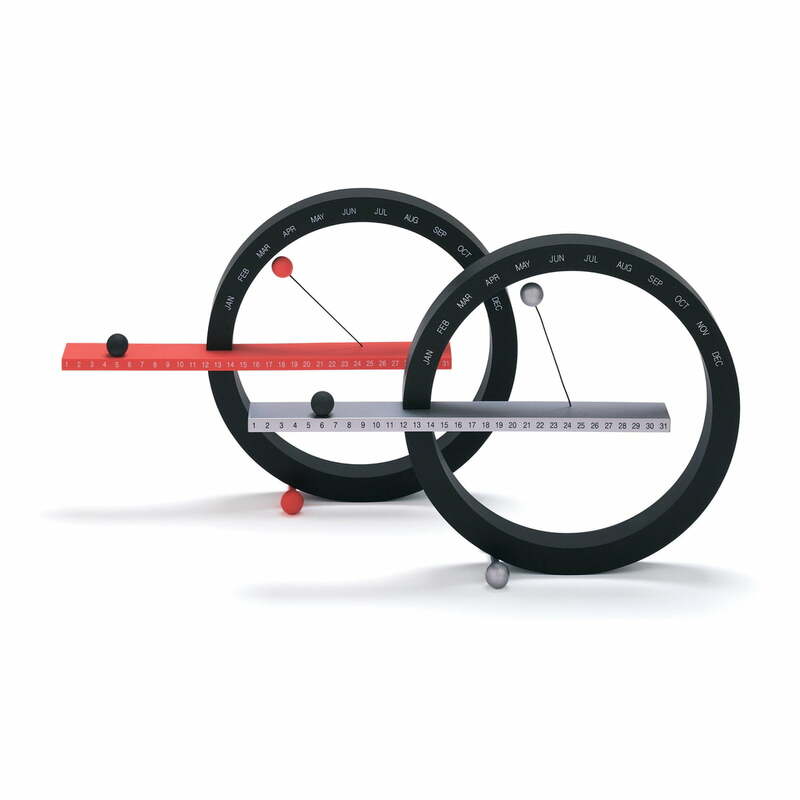 The construction out opf round and straight forms delights with its unusual design and the apparent game with gravity. 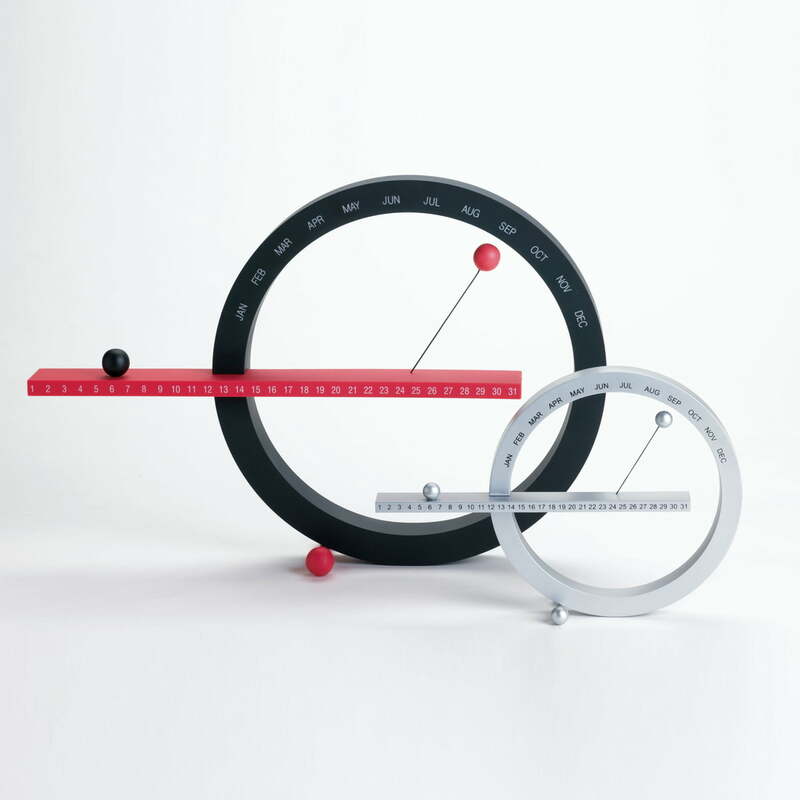 With a freely adjustable sphere in the middle of the large circle, the current month is emphasized. The exact date can be marked with another sphere on the horizontal level. Thanks to an integrated magnet, the sphere remains safely on its place. 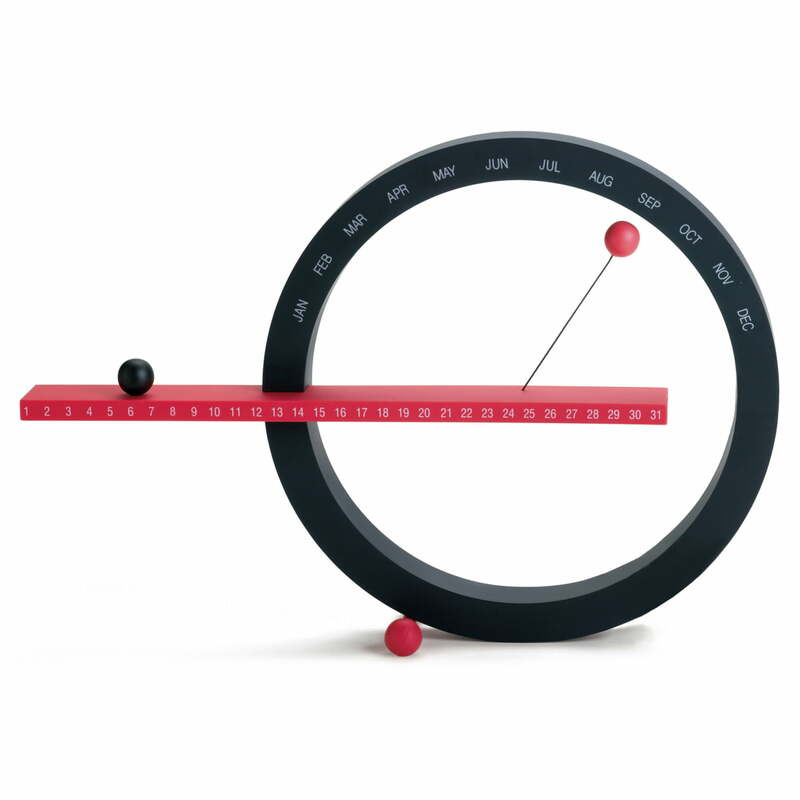 The MoMa produces the perpetual calendar by Gideon Dagan out of synthetic material. 153 of 263 customers have found this review helpful. If you didn't need a cumbersome calendar in your life, I thinker that you should be to own one.